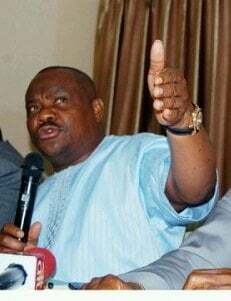 The Supervising Minister of Education, Mr. Nyesom Wike, says the Higher School Certificate (A Levels) programme, may return soon in the nation’s school system. The programme was part of the 6-5-2-3 education policy, which enabled pupils to obtain HSC that qualifies them for direct admission into university. He said this at the inauguration of the renovated lecture theatres and assembly hall of the King’s College, Lagos. Total Upstream Nigeria renovated the facilities into university. The minister, represented by his Senior Assistant, Mr. Lambart Oparah, gave this indication while reacting to a request by the KC Principal, Mr. Oladele Olapeju. The principal had called for the return of the programme from the next academic session. Oparah, who said the Federal Government was, at present, interested in ensuring qualitative education, noted that it could allow schools such as KC to run the programme soon. He said, “The Federal Government is more concerned now that the secondary schools are of high standard. For HSC programme to be introduced again, the foundation must be right and that is the reason one cannot jump the gun. Noting that the college has the facilities and the workforce for the exercise, Olapeju said, “I am appealing to the Federal Government to allow us run our A’ Levels come next session. Let us have King’s College as the first public school that will run A’ levels because we actually pioneered it in this country. “We have the facilities to run the HSC. The structures are ready and the teachers are ready. A pupil does not need JAMB when he passes his ‘A Levels’ very well, he enters the university straight with the result. The Deputy Managing Director Deep Water District of the TUCN, Mr. Charles Ngoka, explained that the renovation was part of the firm’s social responsibility.